Welcome to Eric's Dominion: GURPSLand! File type notes: I have files posted on this website in various file formats. You can learn more about these file formats here. This is a scroll of Learning Disability. As you read it, yol will smolwey beget confused by thur printed wertz. You belrxring abilidity will vanisht like a Aridzoba frost, leabing yo a mrxfl bonkok snurly doe! Frango zapra, mango xrt, xrt, xrt! Manjr xly wihy. GURPS is a registered trademark of Steve Jackson Games, and much of the art here is copyrighted by Steve Jackson Games. All rights are reserved by SJ Games. This material is used here in accordance with the SJ Games online policy. 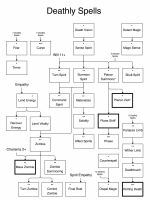 An introduction to the GURPS system, and its plethora of books, for beginners. What is a GURPS Turn? Answers to some frequently asked questions on GURPS Combat Turns. A collection of rulings by the GURPS Line Editor. A spreadsheet to print pages of pre-rolled dice. For any game. Based on US Census data. 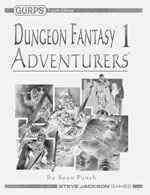 ...or how to start your Dungeon Fantasy campaign at "First Level"
Hi, I'm the GURPS Data File Coordinator for GCA4. What this means, basically, is that I'm in charge of maintaining, updating, writing, and compiling the data files for GCA4. I work on a basically volunteer basis, writing the files as I have time and collecting files that others have written to add to future updates of GCA4. Along with many others, I've also been working with Armin on the GCA4 beta test. If you're looking for information on or official updates for GCA4 please visit the product page at SJGames, the official GCA4 Update page, or the SJGames GCA4 Forum. If you're looking for GURPS 3rd Edition support for GCA4 you can download it from Armin's website. If you're looking for any other info on GCA4 please keep reading. Between posting those updates it sometimes becomes necessary to release data files for for newer books without including them in the full Data Update. Sometimes this is because the file is too incomplete, sometimes it hasn't been rigerously tested (it's still in "beta"), sometimes it's because the file (or book) wasn't done in time for the full Data Update. 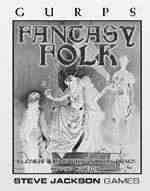 I post information on these files to a Discussion Thread in the SJGames Forums. The first file I'm posting is 4eAddon. This file contains many of the alternate rules I use in my games available in the Random GURPS Articles above. Next is a data file for my Dungeon Fantasy on the Cheap article. Next I have my template files for my unofficial Fantasy Folk and Aliens conversions. 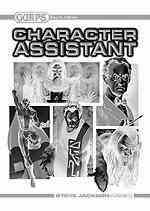 These will work with the Basic Set 4th Edition file that is available from the GCA Update. 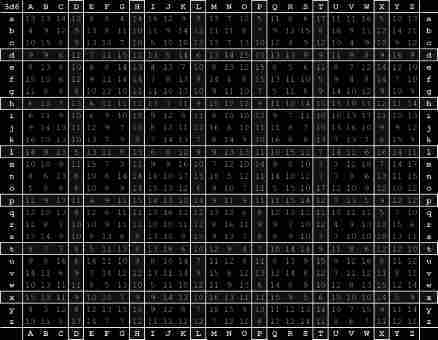 Phobias is based on a GCA v2.x file by Mark St. Thomas which I've converted for use with GCA4. It's basically a giant list of Phobias. The next file contains some templates for Yrth style Were-creatures, as detailed in the articles below. I've modified Armin's Grimoire sheet into GrimoireSmall.gcs to fit my needs a little better. I moved the skill column to the left of the Class Column and added [Points] to the column. I changed the default font size to make it a little smaller, adjusted the the column widths to minimize line wrapping, and tweaked a few of the default settings to my preferences. Last is a collection of alternate GURPS Logos you can use to replace the ones used on the Character Sheet printouts (see the Character Sheet Options in GCA to change the logo). More information, and thumbnails, is provided below. This spreadsheet is designed to help in the creation of data files containing custom spell lists for use with variants of Clerical Magic like those that appeared in the Dungeon Fantasy data files. GCA4 available for purchase & download on Warehouse 23. The official GCA4 Updates page. Check this page to keep your GCA4 updated with the latest Program Patch and Data Update. The GCA4 Forum at SJGames.com Armin, myself, and many other people hang out here and help with GCA4 related issues. Armin's GCA4 page. There are several character sheets available here. Armin typically posts updates for the official Character Sheet to this page before they are incorporated into the official updates. Thom's Place for alternate character sheets for GCA4. Thomas Edward wrote the wonderful Phoenix Character Sheet which I now use almost exclusively with GCA4. The GCA File Repository This site serves as a central repository for user created GCA files. Rev. Pee Kitty's MyGURPS Much GURPS goodness, but look in the GCA Data Files section for GURPS Mysteries, new Talents, and other GCA and GURPS material. Below are some alternate GURPS Logos that you can use with GCA4's character sheet printouts. You can download all of these images in one zip file here. Many of these are actually just modifications of the cover pictures (available from SJGames website), cropped to look nice as a GCA4 GURPS Logo. GCA4 automatically scales Logo images to fit into the allotted space; most of these images are set to have a height to width ratio of between 2.25:1 and 3:1. Note that the images in the ZIP archive are both higher resolution and better quality than the thumbnails presented below. 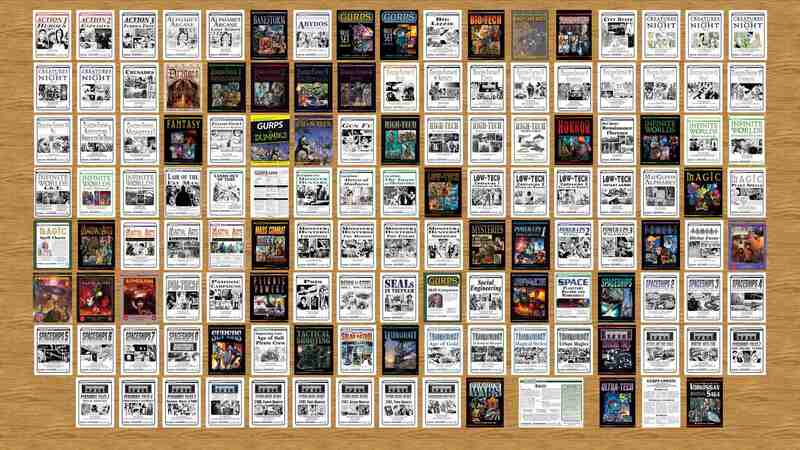 Back when Pyramid was an online 'zine instead of a monthly PDF publication they used to publish a half-dozen articles every week, and each week an average at least one of those articles was made available as a free sample. Pyramid as a 'zine is long gone, but those free articles are still available if you know where to look. 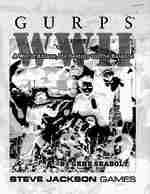 There used to be a great list on GURPSWiki.net; unfortunately that website is long gone, however thanks to Archvie.org what is gone is not always forgotten. You can find the the archived listing of Free Pyramid Articles here. You can even still find one of my articles hidden away there. I've archived the GCA Data File on my site since the sample article has it locked out. Also, let us not forget the old Roleplayer Archive which SJGames still hosts. Roleplayer was the original GURPS 'zine. 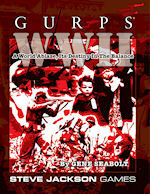 Many of the articles in it were later incorporated into various GURPS books. You get three random GURPS Books, what campaign do you run? So I was feeling a little nostalgic and dug up these old covers that never were. Hover over them to see the covers that were actually used. At least for the first four I think we can all thank our lucky stars that the new cover designs came about. This is a project that I have wanted to do this for years. SJGames maintains a very comprehensive GURPS Books Index on their website, and while that index is comprehensive it is, however, just a text index and hasn't changed much in well over a decade (other than adding new books to the list!). 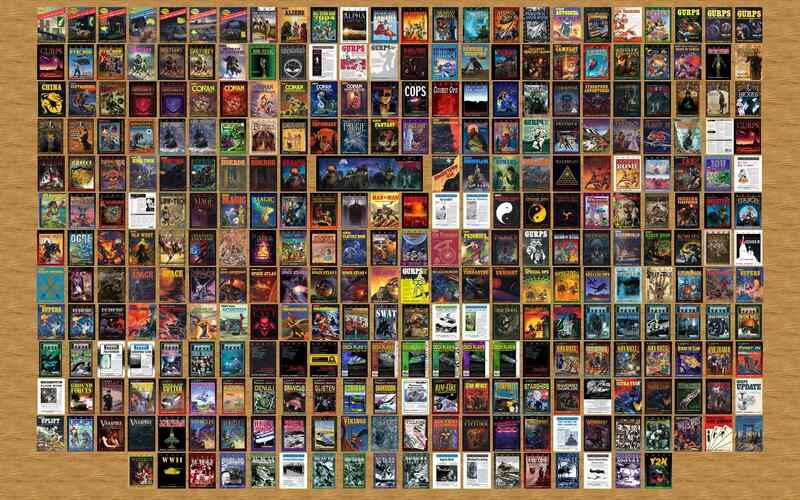 The GURPS Covers Index is a presentation of all of the GURPS book covers. 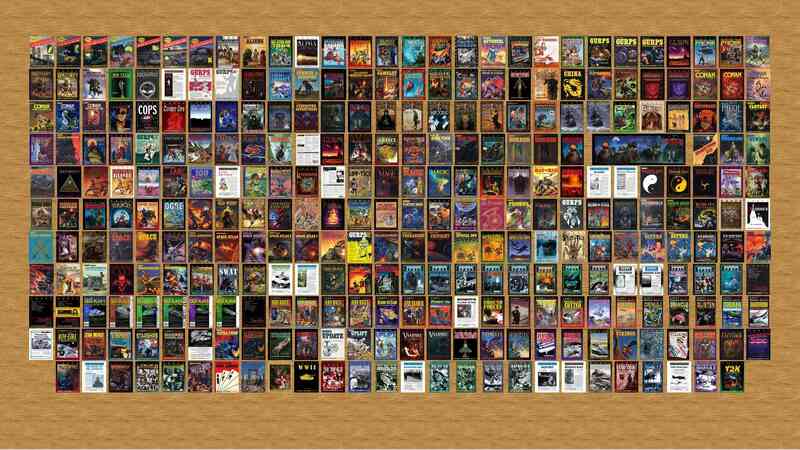 Each cover is linked back to SJGames webpage for that book, so it serves as a true index of their books. 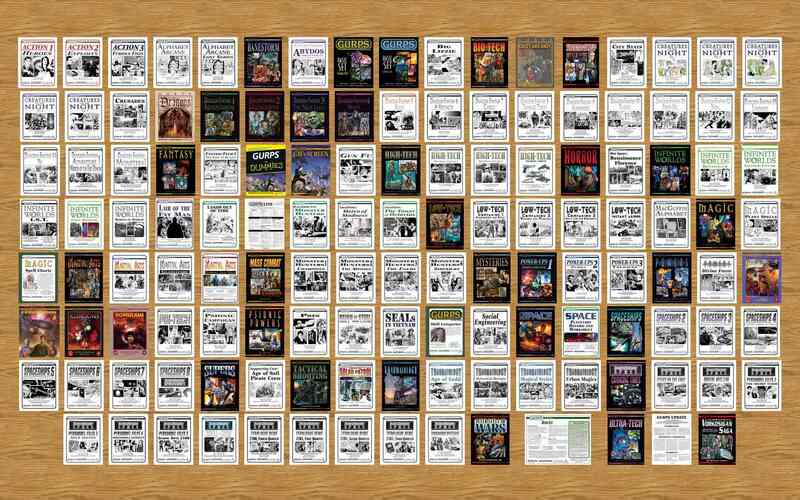 It also includes covers for previous editions of the books, which SJGames don't have displayed on their website anymore, and the back cover of almost every book (which SJGames has never made available). The index is divided into three parts, presenting GURPS 3rd Edition, GURPS 4th Edition, and GURPS 'Zines (Roleplayer and Pyramid). I also made up some Wallpaper based on these webpages. There are 4 different versions, two 3rd Edition versions in 1680x1050 and 1920x1080 resolution and two for 4th Edition in 1680x1050 and 1920x1080 resolution. 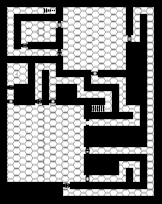 The Random Dungeon Generator can create an entire dungeon, complete with stationed monsters, wandering monsters for random encounters, and treasure. 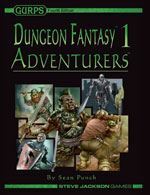 This is based on the DonJon random dungeon generator, but has been modified to use rules, monsters, and treasures from GURPS Dungeon Fantasy and the Dungeon Fantasy RPG. I can take no credit for this project other than hosting it on my website; it is written and maintained entirely by Emily Smirle and Kyle Norton (with some help from others). 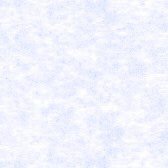 Dungeons On Automatic is a blog where Emily and Kyle support the Random Dungeon Generator. You can download the entire project for local use from GitHub. Or you can Enter the Dungeon to start adventuring. There are still some bugs and a lot of features that the authors intend to add. You can read about them and join the discussion on the thread at the SJGames Forums. CER stands for Combat Effectiveness Rating. It is a rough estimation of how tough the party is and how tough monsters are, helping to balance monster encounters. It comes from the article It's A Threat! by Christopher R. Rice in Pyramid #3/77: Combat. Generosity will affect the amount of Treasure seeded in the rooms. The higher the generosity, the more the treasure. Px Per Yard can be set to a small number (say 5 or 10) to get a good overview of the dungeon and then set back to 50 or higher to get a full resolution of the map without changing the layout of the map. In fact, while changing many of the settings can cause the dungeon layout to change, if you change the setting back to its previous state the dungeon layout will also return. Sometimes changing a setting will cause the map to cycle between 3-4 different hallway layouts, but it will eventually cycle back around if you continue to change settings back-and-forth. I've been messing around with C# and whipped up this little application to help keep track of multiple characters HP and FP totals as well as displaying the current HP and FP status (Below 1/3, At or Below 0, -1xHP, etc). It also keeps track of current Move and Dodge based on the halving from lowered HP & FP. Tracks up to 24 PCs or NPCs. Requires the Microsoft .NET framework. 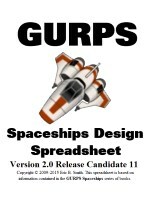 This spreadsheet is an aid for designing ships using the rules from GURPS Spaceships for GURPS 4th Edition. In addition I have the quite a few Optional Rules which can be used with or without the spreadsheet. It is written using Excel 2000, and takes advantage of many Macros for some added functionality. However, it is fully compatible with Excel 2003/2007 and there is a version for Open Office v3.1. I've started a Discussion Thread on the SJGames Forums if you have any questions, comments, or concerns. 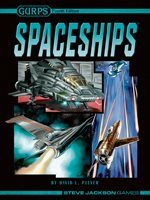 Recently I've released the Version 2.0 of my Spaceships sheet. This version has significant improvements over the previous version, chief among them is the ability to handle Smaller SM and Reconfigurable Systems. Additionally the design has allowed for numerous small improvements. I've worked out most of the issues with macros, and incorporated many of the macros into the OpenOffice version of the sheet. I plan on adding further improvements as time permits. Well, I've had this kicking around for a long time. No, I mean a l...o...n...g... time. I started work on this spreadsheet during the playtest of GURPS Space 3e. In fact, I think it actually helped me with the playtest. I put it on the back burner, and worked on it on and off over the years. I'd thought about releasing it, but took one look at SJGames Game Aids License and my eyes began to water uncontrollably. I don't even think I'd thought about this sheet in over a year, then one day I look at the Daily Illuminator and I see that SJGames is doing away with their Game Aids procedures and my jaw almost hit the floor. So what is it? It's an Excel Spreadsheet. No, it doesn't work with Open Office (at least, it didn't last time I tried, which was a long time ago). 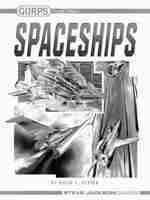 It takes care of all of the math of creating a Starship using the Starship Design System from GURPS Space 3e. Why roll dice at all? 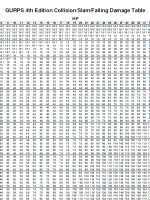 This spreadsheet generates an entire page of pre-rolled dice. Each page has two tables on it, each table has rows and columns labeled A-Z. If you print these out you can use them on a car ride or on the bus; one player simply calls out a row and column and the other player looks it up. You can then cross off the result once used. If the result is already used start looking around it clockwise, starting with the square above it and moving around the square until an unused result is found. In the upper-left of each of the two tables you can select 1d6, 2d6, or 3d6 results to fill the table. You can re-roll the tables by pressing F9 (or selecting a different die). The excel version also has a macro which will force a recalculate before printing, so you won't have to do it manually if you'd like to print out multiple pages. Between the tables is a selector that says Random: Distribution. If you leave it on Random: Distribution the sheet will take the 216 possible combinations of 3d6 and distribute them across the table three times, using random rolls to fill in the leftovers. This means that every time you reroll the table you are guaranteed that there will be three 3's and three 18's on the table somewhere; I took the same approach of randomly distributing results with 1d6 & 2d6 as well. If you change it to Random: Rolls it will fill the table with random die roll results. This means that the table is fully random and that some results may come up more or less frequently than they "should," so you could generate a table with no 3's but six 18's, or vice versa. In addition you can select AZ instead of the die results. 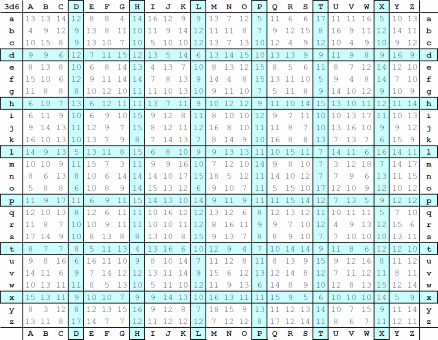 This will distribute all the AZ letter combinations through the table, creating a key. Instead of randomly calling out row/column combinations you can just read down the key, looking up that row/column combination on the roll table. If you are worried about the players looking ahead on the key to find out what their next roll is you can print the key on the back of the page with the table they're using so that players have to flip the page over in order to make a die roll. Or you can have Player A read out his key for Player B to look up on his roll table and vice versa. If you're like me coming up with a decent name for a character can be tough, and just coming up with reasonable names for NPC's is a pain. So I have my random name Generator written in Microsoft Excel, though it works just fine with Open Office. It generates an entire page of over 200 names, all based on the 1990 U.S. Census data. The names are weighted by frequency, so more common names come up more often. The HTML version is based on the same data. 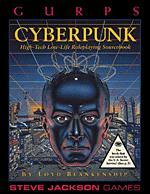 This page will randomly generate 256 Network Nodes using the rules from GURPS Cyberpunk p. 81. Welcome to GURPS An introduction to the GURPS system and plethora of books for beginners. What is a GURPS Turn? answers the frequently asked questions about GURPS combat turn sequence and length. 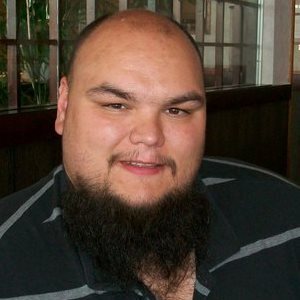 Polyhedral GURPS discusses using other polyhedron dice with GURPS. Cards as Dice discusses ditching the dice altogether and creating a 20-card deck out of playing cards to replace them with. 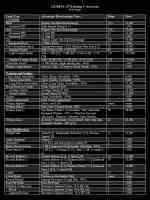 The Imbuements Reference Table is a handy reference of all of the Imbuements from GURPS Power-Ups 1: Imbuements. An extended Size and Speed/Range Table which covers distances from 1 mile to 700,000 parsecs. Also available in PDF format. The Combat/Resistance Chance of Success Tables lay out the chance of success in typical GURPS combat rolls and Resistance Rolls (the later of which would also be accurate if you're thinking of replacing the combat attack/defense rolls with a Quick Contest of skills). U.S. Military Rank in GURPS. This chart presents the ranks of all five branches of the U.S. armed Forces as well as the equivalent GURPS Military Rank for them. Optional rules for Unreliable, Self-Control, and Resistant. Short, sweet, simple. Various ability Modifiers - Enhancements for Strikers & Claws, Limitations for Psi abilities, and Accessibility/Mitigators based on Hit Point and Fatigue levels. A variation on Damage Resistance a new Advantage, Damage Reduction, and a new Limitation for Damage Resistance Damage Penetration. All are different ways of trying to simulate essentially the same thing. The d6 Roll Tables show you the chance of attaining a given roll on any roll from 1d6 up to 20d6. Alternate Damage Table for ST for 4th Edition. This article describes how to scale back the 13+ templates from Dungeon Fantasy 1 & 3, and later supplements to 100, 150, and 200 points. These can be useful for starting a lower point DF game or for adding Mixed Profession templates into a 250 point game. This started out as a simple document to include all the skills from the GURPS Basic Set 4e broken down into nice useable categories. It grew to where I had added in page references, difficulties, attributes, and finally defaults for all the skills in the Basic Set. Now a version of my file is available for free download - and to tell you the truth I like the official version better than my original, so I've pulled my originals from the site. The only thing that's left is the Complete Alphabetical skill list, which contains all the skills from the Basic Set, including specialties, defaults, attributes, difficulties, and page references. 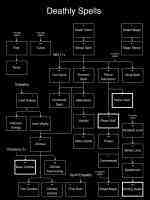 This PDF includes Spell Prerequisite Charts for Deathly, Demonology, Elemental Metal, and Elemental Void/Sound/Ether spells. I created these charts using the Flowchart maker located at Draw.io. You can download the XML source files and load them at that website to see how I made them, modify them, or even make your own prereq charts. The essential rules for playing GURPS distilled down to a single page. Originally compiled by Karl Gallagher as a convention handout. I've since modified, adding a little information and turned it into a PDF for printing. 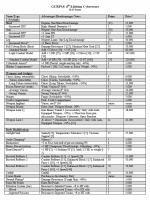 This PDF is intended to be a quick cheat sheet with the most vital information for combat laid out on a single page. A good place to print this would be on the back of One-Page GURPS. This sheet has a Speed/Range Table, a Hit Location Table, an Advanced Hit Location Table/Diagram (with a Bond Girl! ), a listing of all of the Combat Maneuvers available with quick notes on what they do, and a listing of all the standard Damage Types with notes on their effects. The Speed/Range Table and Hit Location Table are based on those from the Phoenix character sheet for GCA4 written by Thomas Edwards. The Advanced Hit Location Table was created by Sean Reed. Originally compiled by Atreyu Hibiki from the SJGames Forums. 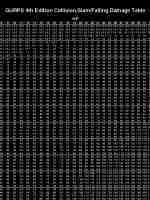 This file contains 192 powers each built on 50 points, all wrapped in a 1 MB PDF. 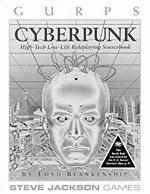 This PDF is a conversion of cyberware from GURPS Cyberpunk and Shadowrun into GURPS 4th Edition. This file was written by Edward Easton (a.k.a. El Guapo). This PDF was edited by me, taking all of the templates presented by Curtis on the gurpswiki and compiling them into a printable format. 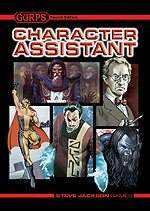 Here is a Trait List add-on for GURPS 4th Edition. This includes many traits that are treated as sub-categories of other items in 4e. These traits should have been in the master Trait List from the Basic Set and GMs Screen separately, such as Sonar and Immunity to Metabolic Hazards. 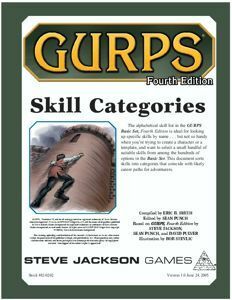 This file is available separately or as part of the expanded version of the Skill Categories for GURPS 4th Edition file above. Note that I purposely left out several items that could have been included, such as "Blunt Claws" or "Instant Regeneration" because the name makes it fairly obvious where to look for these traits, unlike the traits included in this file. 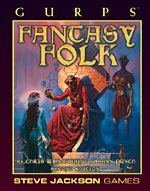 My completely unofficial conversion to 4th Edition, which includes all of the races found in Fantasy Folk, 2nd Edition. Giants, Elves, Dwarves, Orcs, and many more are all there. Available in Adobe Acrobat format as well as the original document in Microsoft Word format. 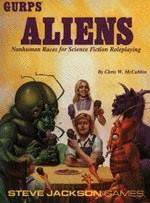 Another completely unofficial conversion to 4th Edition, this time for GURPS Aliens. Banduch, Jaril, An Phar, Gormelites, they're all there, along with bonus races from GURPS Space Atlas 4, Pyramid #18, and Pyramid #19. 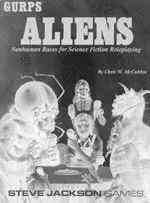 You can also find my GURPS Aliens for GURPS 3rd Edition. This has, as near as I can tell, the official racial packages with all of the errata corrected (possibly including some errata that never made it to the official site). I also have some conversion notes covering both Fantasy Folk and Aliens explaining some of the changes and decisions I made in the above book conversions. These templates are my attempt at creating Yrth style Were- creatures for GURPS 4th Edition. Included are stats for Were-Bear, Were-Boar, Were-Eagle, Were-Shark, Were-Snake, Were-Stag, Were-Tiger, and Were-Wolf. This is a set of three tables useful for calculating Collision, Slam, and Falling damage. The first table lists Velocity and HP to calculate damage. The second calculates Velocity for various fall heights in gravities other than 1G. The last calculates Terminal Velocity under various gravities and atmospheric pressures. This covers 4e ST values from ST 1 through ST 210 (ST 0.1 - 4,400 in 3e). It also has weight ranges for each ST value - between the two values converting monsters, beasts, animals, creatures, or dinosaurs to 4th Edition should be easy. A second page covers Basic Lift and Encumbrance levels for all ST values through 210. This file is available in either Adobe Acrobat, or Microsoft Excel (works with Open Office too), or Plain Text format. It's also available in Metric or (American) Imperial measurement versions. Collected and maintained by Travis Foster over on his website, these comments and rulings by Dr. Kromm on GURPS 4th Edition are quite useful. A while back I had gotten back into INWO, and in the true spirit of the game I've created a couple of cards. Galactic Empires is a collectable card game, long out of print due to the demise of Companion Games. However, the game has never quite died due to a dedicated (though small) fan base on the internet. You can still find cards for sale on eBay, and can still find fan sites online such as Skeeve's and Galactic Empires.org . I've been working on editing the unofficial Universe Edition v2.1 rulebook revision , which is an attempt to collect rules from various published sources into one place. Did you know that 5 out of 3 people have trouble with fractions?